With discussion surrounding social networks’ role in censoring its user content that violates site policies at an all-time high, Facebook has allowed a cartoon breast cancer awareness campaign to reappear on the site after initially removing it. 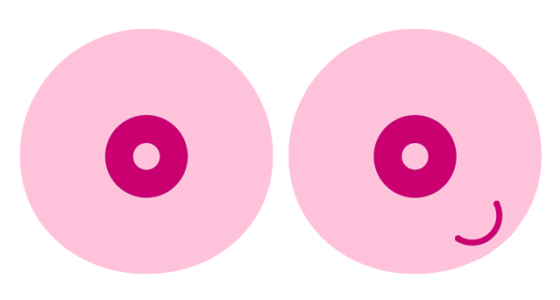 A few days after Swedish cancer charity Cancerfonden posted an informational ad titled “Get to know your breasts” which featured pink cartoon circles to symbolize breasts, the social network removed the post. Cancerfonden followed up with an open letter to Facebook on its site, remarking that the ad was not mean to offend anyone. The foundation then explained that after attempting to contact Facebook for several days without success, it replaced the ad’s circular-shaped breast image with one that featured squares, instead. Once Cancerfonden’s story was picked up by the Swedish media and its open letter to Facebook made its rounds on the internet, the social network made a formal apology for blocking the ad after initially accepting it. A secondary post from Cancerfonden expressed delight that Facebook had backed down and adopted a new decision. “Now we again have the opportunity to spread this important information to as many people as possible,” the post reads.